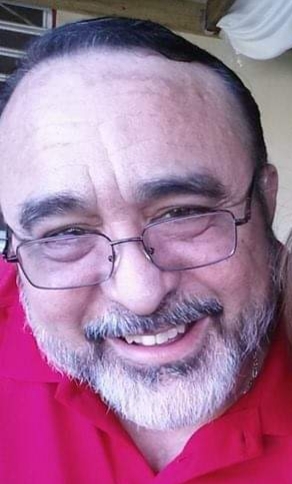 Luis Armando Chevere Betancourt (SSG, Retired) of Raeford passed away suddenly on Thursday, January 17, 2019 at Womack Army Medical Center at the age of 64. Luis was born in Puerto Rico on January 26, 1954 to Juan F Chevere and Elba I Betancourt. After proudly serving in the United States Army, where he was assigned as a Military Police K9 handler, he retired and began his second career with the North Carolina Department of Corrections at the Hoke Correctional Institute where he served 16 years. In February 2014, Luis decided to finally retire and enjoyed spending time with his children and grandchildren. Luis leaves behind his wife, Elizabeth Chevere of Raeford; his sons, Luis A Chevere and his wife, Charlene of Raeford, Francisco I. Chevere of Houston, Tx; his daughter, Ariadna Chevere of Houston, TX; his parents, Juan F. Chevere of PA; his mother, Elba I Betancourt and her husband, Francisco Delgado Roque; his brother, Arnaldo Chevere and his wife, Aida of Haines City, FL; his sisters, Carmen Chevere and her husband Miguel Rey of Haines City, FL, Carol Muñiz of Allentown, PA; three grandchildren and many, nieces, nephews, and cousins. The family will receive friends on Wednesday, January 23, 2019 at LaFayette Funeral Home, 6651 Raeford Rd, Fayetteville, NC 28304. Funeral services will be held the following day at 2:00pm in the Sandhills State Veterans Cemetery with full military honors.